What a loser Shia LaBoeuf is. Not just that… he’s weird and nuts too. This is the so-called artist who has been doing a ‘He Will Not Divide Us’ exhibit in multiple places. They chant that phrase incessantly and were supposed to keep chanting it until Trump is out of office. But Shia assaulted someone he thought was a Trump supporter and it got shut down. He moved it to New Mexico and nearby gun shots spooked him and he shut it down again. Poor guy… there’s just nowhere safe to troll these days. This moonbat really, really, really hates President Trump. I guess his life was so empty and wanting that he latched onto Trump to obsess over and give his existence meaning of some sort. Pathetic. The boys over at 4Chan have turned this whole stupid mess into a game of ‘capture the flag’. According to Matt Palumbo, a local news story about Shia allowed people to track his location to Greenville, Tennessee the day before a live stream with Shia’s flag went live – see below. From that point on, the location of the flag was tracked by comparing plane contrails with flight-path data to try to find the exact position. It worked if you can believe it. The celebrity most distraught by the election of Donald Trump is one who previously tried to resign himself from public life, Shia LaBoeuf. He’s been reasonably successful since many of you probably have no idea who he is. In the wake of Trump’s victory, Shia set up a public live stream called “He Will Not Divide Us,” where he and others would mindlessly chant the phrase when they had the chance to do so. This was to go on for the entirety of Trump’s presidency. The alleged art-exhibit was constantly trolled by Trump supporters, and the exhibit was shut down by late February for unrelated reasons. Shia even got arrested at his own exhibit for assaulting a supporter he mistook for a Trump supporter. He then moved his protest to New Mexico, but that was shut down after gun shots were heard near the exhibit. Finally, Shia had to move it to an unknown location where the camera only faced a flag pole (with a flag that stated, “He Will Not Divide Us). I guess once they find the exact location, Shia’s flag would be lowered and a Trump hat would take its place. It looks like these guys are stalking Shia and then are live streaming it as a quest of some sort. 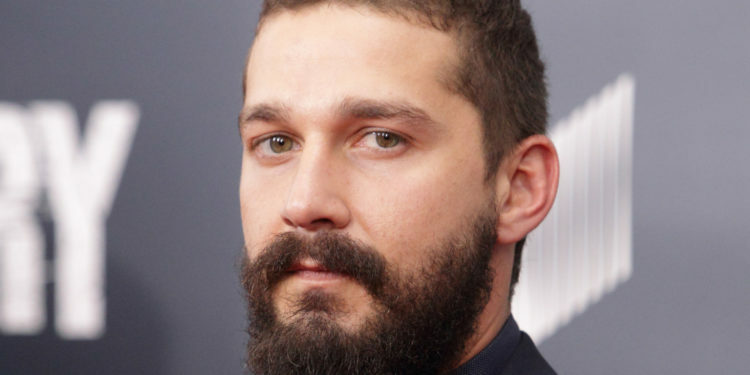 I can think of a million things I would rather do than play Where’s Waldo with Shia LaBoeuf. Here’s a thought… ignore him and eventually, he’ll go away. They’ve taken an anti-Trump protest and turned it into a ‘pin the tail on Shia’ event. Amusing, but seriously… is the guy worth it? Nope.